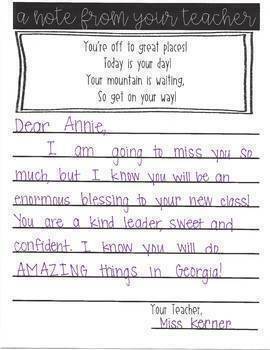 Need a precious and memorable way for a student to remember your class as they are moving away? 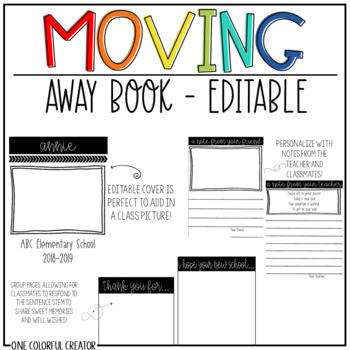 This EDITABLE book allows everyone to participate in making a memory book for a student that is moving away. This book includes an editable cover page. I used Amy Groesbeck Fonts: Volume Three on the editable cover page, although you can use any font. Inside the book, students will color a picture of them with the student that is leaving and write something sweet below the picture. 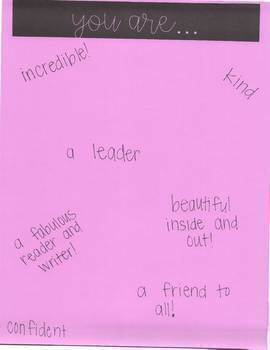 Also included is a page with a poem for the teacher to write the note to the student. 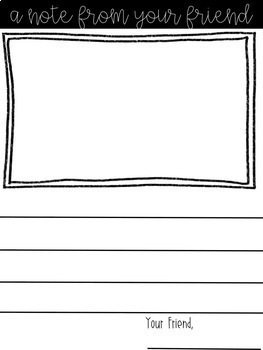 Finally, there are 4 pages with a sentence starter that allows for your class to write something nice about the student that is moving away, such as "You are..." and students complete the sentence on the page.